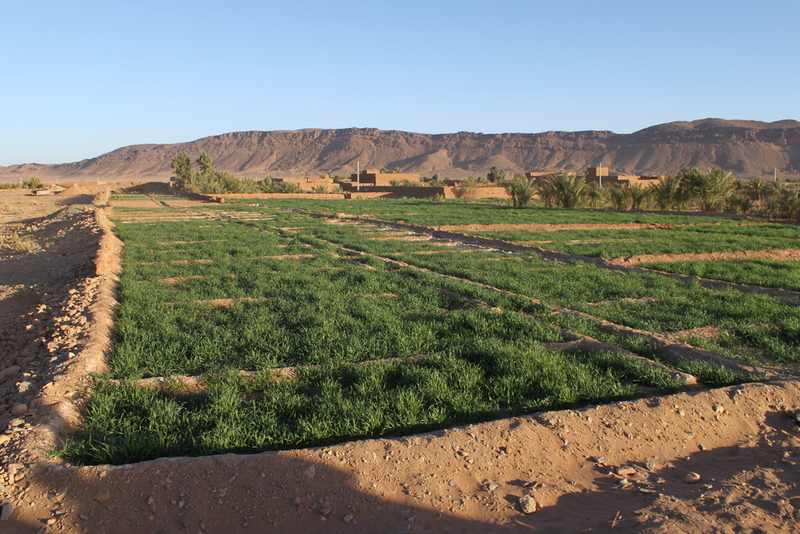 Desert agriculture in Morocco. Photo credit: Richard Allaway on Flickr. Offshoring, the automotive and aviation industries will account for around 40% of the private-sector jobs, the employment ministry’s diagnostic report found. Just behind them will be tourism, trade and distribution, and agri-food. Information technology is also on the list of sectors that will be recruiting in 2015. Traditional sectors, such as textiles, real estate, agriculture, construction and public works, will still offer jobs. Budget reforms as well as the possibility of recovering European economies will benefit Moroccan companies, according to the article.